Schienen Reinigungsgummi. Ich werde diese dann fachgerecht entsorgen. für alle Spuren geeignet. Hinweis nach dem Batteriegesetz (BattG). Opening hours. 2 X FLEISCHMANN POINTS, 1 X #6044 L/H, & 1 X #6045 R/H, BRASS, OO/HO GAUGE. 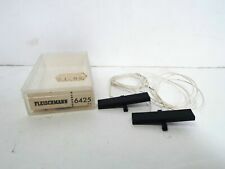 HERE IS A FLEISCHMANN HO/OO 6953 STAY SWITCH X2 BOXED. SIZE, HO/OO. A Fleischmann 6191 Rangier set C in very good used condition. 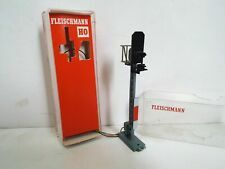 A Fleischmann 6192 Parallel set D in very good used condition. EXCELLENT USED. FLEISCHMANN 6114 (UNCOUPLER TACK. ©1999-2018, Westport Collectables. Do not duplicate or redistribute in any form without prior consent. VERY LIGHTLY USED. ). FLEISCHMANN 6142 (6175) LEFT HAND CURVED POINT. make Supersized seem small. ©1999-2018, Westport Collectables. Do not duplicate or redistribute in any form without prior consent. Get images that. FLEISCHMANN 6142 (6175) RIGHT HAND CURVED POINT. ©1999-2018, Westport Collectables. Do not duplicate or redistribute in any form without prior consent.